Woman getting a micro-needling treatment for skin rejuvenation. Microneedling is also known as Collagen Induction Therapy - CIT and originated from the science of acupuncture. Micropen microneedling is a cosmetic procedure used for skin rejuvenation, and the micro skin needling procedure is done using an electric tool that has several tiny medical grade sterile needles for optimal safety to create microscopic punctures to the top layer of the skin. The needles range from 0.25 to 2.5 millimeters in diameter and are so tiny that you barely feel the pricks and that they enter only skin deep, but the skin responds to these injuries by triggering new tissue generation. 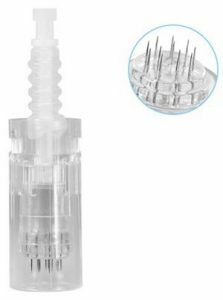 Micro-needling is used to reduce the appearance of acne scars, and to tighten and tone the skin, and reduce pores, and fine lines and wrinkles, and stretch marks, and to improve lax skin. 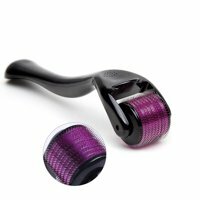 Microneedling with a derma pen improves the skin tone and the skin texture, and it does not burn the skin like a laser, and doesn't abrade or scrape the skin either, but micro skin needling gently stimulates the skin's natural healing process by creating micro-channels with very fine needles that close up within an hour. So this reduces the healing time and risk of infection and makes it safe to use on all skin colours with little downtime. Because microneedling skin treatment safely encourages the collagen production, and keeps the skin healthy and actually makes it thicker, it is a pretty safe skin rejuvenation treatment. 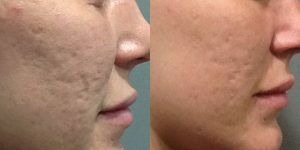 Microneedling treatments can be used on the face for wrinkles and scars, and dermaneedling for acne scars, and to improve fine lines and wrinkes around the mouth, and for crow's feet, and acne scars, and loose and lax skin, or to improve the skin and skin texture, and cellulite and stretch marks. To increases plumpness, and decrease pore size, and to improve superficial pigmentation, and sun damaged skin, or hyper-pigmentation and hypo-pigmentation. 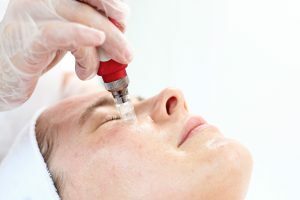 Microneedling also increases the penetration of serums and other active ingredients to support the skin's normal cell function, and can optimize the absorption and effectiveness of anti-aging products by up to 3000%. It is non-allergenic to human tissue due to the sterile medical grade needles. 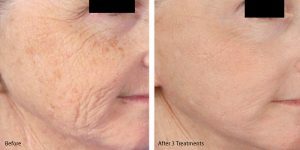 Microneedling can be used on fragile areas on the face, and on the area under the eyes, on the back of the hands and on the neck. And it is safe on all Fitzpatrick skin types and skin colours, and ethnic skin. Look at the chart on the left. Microneedling stimulates hair growth, and in this study, 100 test subjects were divided into two groups; one group was treated with minoxidil lotion and the other received minoxidil lotion and microneedling. 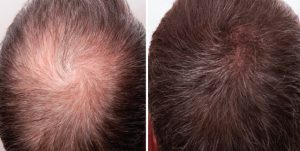 After 12 weeks, 82 percent of the microneedling group reported a 50 percent improvement versus 4.5 percent of the minoxidil lotion group only, but the hair follicles have to be healthy because it will not work if you are already bald. A numbing cream will be applied and when the numbing cream gets removed, a serum gets applied and the treatment begins. The pain is minimal and there is very little to no downtime, but parts of your face may feel a bit more sensitive than others right after the treatment, but you will be fine. Once the micro-needling is done, a serum and hydrating stem cell moisturizer with human growth factors will be applied and a sunscreen. You may take a Tylenol after the treatment if your skin feels sensitive. The skin will be red and may have some swelling which usually disappears within 12 - 24 hours, and depending on the depth of your treatment, your skin may be pink and may slightly flake and peel for a few days after the treatment, but don't pick it off as this may cause scaring. Only Mineral based makeup should be applied the next day. If you use regular makeup I recommend you wait 24 hours to give your skin the recovery time it needs, and don't work out for 24 hours afterwards. Then you may only use hydrating, and soothing and healing skin care products at home to encourage new healthy cell growth. I recommend the Luminesce celebrity skin care products with human growth factors. 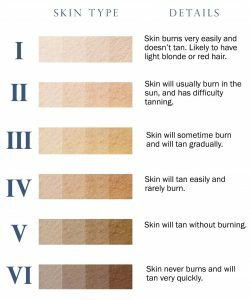 Do not wear a sunscreen, or makeup or tanning lotions for 24 hours after the treatment, and after that only wear a mineral sunscreen SPF30 daily, even on a cloudy day, because it allows the skin to breathe, and wear a hat and stay out of the sun. Use a sunscreen that is made with zinc oxide or titanium dioxide which is much safer than chemical SPFs that contain oxybenzone and octinoxate, because several countries already banned sunscreens that contain these chemicals. You will notice some improvement soon, but the results are gradual and will become more visible in a few weeks. Because there is a healing process that takes place between the inflammation stage and the repair stage and the time when the body actually produces new collagen it will take time to see the final results. Micro-Needling Post Care Instructions will be given to you to take home. How Long Is The Needle Facial Treatment? Usually it takes an hour, but may take a bit longer depending on the area(s) we are treating. Disposable, medical grade sterilized needle cartridges of various sizes, and a new cartridge is used for every session and for every client. Because the number of initial treatments and the required maintenance will depend on your skin type and what we are treating, so we will need to assess your skin and discuss your treatment plan when we do your consultation, because some people may only need two sessions, but most people do need three sessions, and they are done four to six to eight weeks apart. Then do the maintenance treatments once a year and regular facials in between. Because acne scars and stretch marks typically require six to eight treatments done at eight week intervals, book a free consultation and come in so that we can assess your skin and recommend a treatment plan that is suitable for your specific needs. How Long Do I Need To Wait Before I Can Have a Facial? You can have a facial one week after micro-needling. 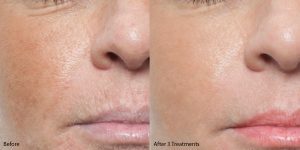 Micro-needling is a safe and effective treatment for most people, but it is not right for every person, but good candidates for microneedling are adults who are generally in good health, but want to improve their skin's appearance, and people who want to see subtle but significant results from a minimally-invasive procedure. Shower and wash your hair before your treatment, and do not wear any makeup or oil on your skin. You must wait two weeks after Botox injections, and four weeks after facial filler injections. And no IPL treatments less than seven days prior to microneedling. 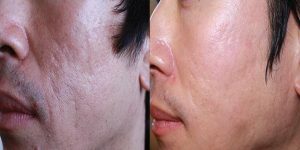 No CO2 Laser treatment for three months prior to micro-needling. No autoimmune therapies or products for 12 hours prior to treatment. No Retin-A products (retinoids), or topical antibiotics, hydroquinone or benzoyl peroxide for three days prior to microneedling. No sun bathing or sun tanning three days before treatment because we cannot treat sunburned skin. No waxing or depilatory creams or electrolysis for seven days prior, and do not shave the day of the treatment. And if you have a history of cold sores, start taking an antiviral prescription such as Acyclovir or Valtrex two days before. Avoid alcohol, and Aspirin, and NSAIDs (Ibuprofen, Aleve), Garlic and Gingko Biloba, and Fish Oils, and Vitamin E five to seven days before treatment, but these are not contraindicated to performing the treatment. And to save time preferably come in without makeup or makeup residue on the day of the treatment. P.S. But if active or extreme breakouts occur before the treatment, it is best to reschedule your appointment. If you have used Accutane within the last six months, or have open wounds, or cuts or abrasions you can not be treated. If you have had radiation treatments within the past year or any kind of skin infection or herpes simplex in the area to be treated because microneedling can trigger outbreaks. No treatments if you are pregnant or breastfeeding, because all the nutrients go to the baby not to repair the skin, and no numbing cream can be applied to the nursing mom. If you have a history of keloid and hypertrophic scarring or poor wound healing in the area to be treated, or if you bleed exessively, or are a hemophiliac. Actinic (Solar) Keratosis and diabetes can not be treated, or if there are raised moles, or warts, or lesions in the area to be treated. Scleroderma which is an autoimmune, or rheumatoid arthritis, or any chronic disease, because it affects the body by hardening the connective tissue. Blood Clotting problems, or collagen vascular diseases, or cardiac abnormalities, or lupus or any other immunosuppression disease. If you have scars less than three months old, or any active bacterial or fungal infections. Eyelids or inside the vermillion border of the lips cannot be treated. Active acne and rosacea, or other inflammatory conditions, and clients prone to viral breakouts. Make sure you do not use it if you have an abnormal skin disease or open wounds, and that the place around you is clean. Then check your roller before and after treatments and make sure there are no defects such as bent needles, because the derma roller should not get stuck in your skin. Be gentle with yourself and don't use excessive pressure or speed, and rinse your roller with hot water and gently brush it with a clean tooth brush and a bit of soap, then soak it for 30 minutes in Polident denture cleaner. One tablet of any denture cleaner and water is good, then rinse it with water and dry it on a rough towel and spray your roller with 70% alcohol afterwards and store it properly in a closed container. And spray it with 70% alcohol before each use and do not share your roller with anyone and don't do another treatment while your skin is still red and sensitive. Do not use it on your lips or below your eyebrows or too close to your eyes, and don't apply any peels or exfoliation products after the treatment, and stay away from any skin care products that contain harmful ingredients, or are pore clogging or irritate your skin after the treatment. And don't wear makeup for 24 hours after your home micro-needling session, and use only mineral makeup, because it allows your skin to breathe. Do not use any toxic sunscreen or sunblock that contains oxybenzone and octinoxate, because these ingredients were first banned in Hawaii in 2018, and many other countries already followed suit. 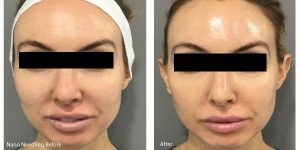 And keep in mind, too many microneedling treatments will make your skin look plastic.